Anyone who is interested in the Baltic Sea might have heard of Baltic Sea 2020 Foundation. Baltic Sea 2020 is a foundation founded by Bjorn Carlson through a donation of 500 million SEK (55 million EUR). The Baltic Sea 2020 Foundation’s assets shouldfund projects that are action-oriented, innovative and helps to improve the knowledge of the Baltic Sea continuously until 2020. The BalticSea 2020 Foundation began its work in 2006 and has to date initiated more than 70 projects, of which 25 are ongoing. One of these projects is about trying to re-establish bladderwrack inside Björnöfjärden, a bay outside Stockholm. Björnöfjärden is heavily eutrophicated and the water is quite turbid with particles that prevents the light from penetrating. It quickly becomes dark below the surface, so that only a few stands of seaweed survive here. 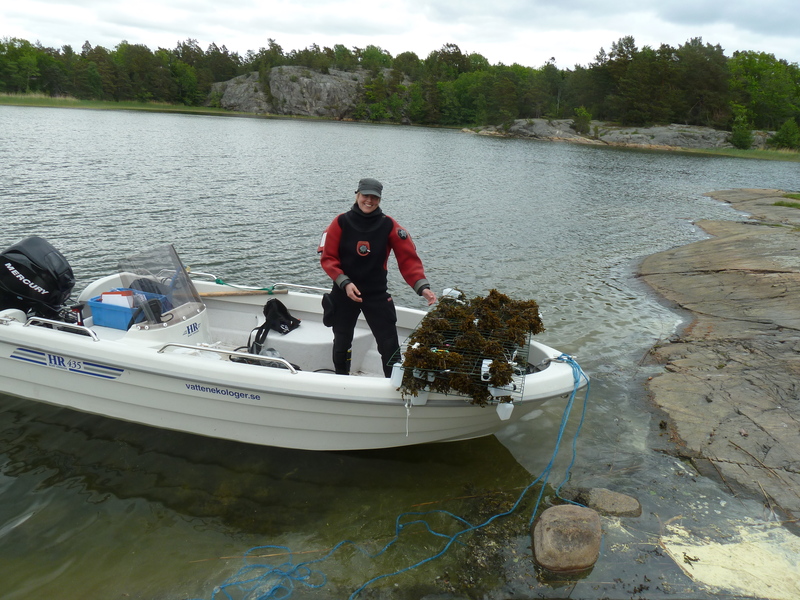 Observant locals have informed us that there was plenty of seaweed in the Björnöfjärd in the past, however. So, seaweed enthusiasts to the rescue! Susanne Qvarfordt is ready to establish bladderwrack. 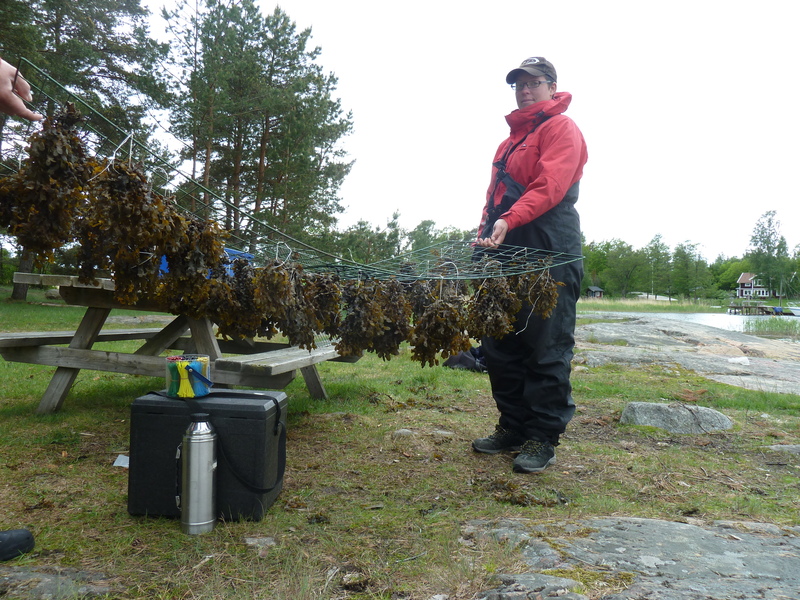 Susanne Qvarfordt from the environment surveillance company Sveriges Vattenekologer has initiated a project that will examine what factors might prevent the seaweed population from re-establishing in Björnöfjärden. 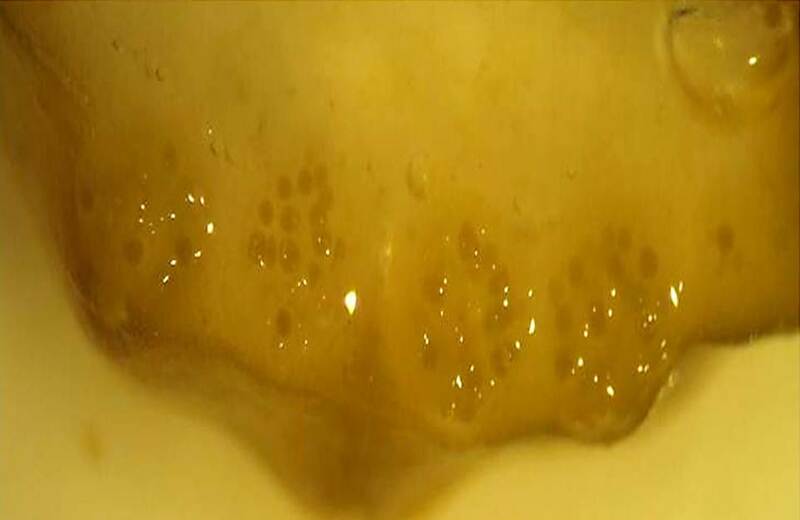 In addition, she asked the BalticSeaWeed blog to help with our expertise! 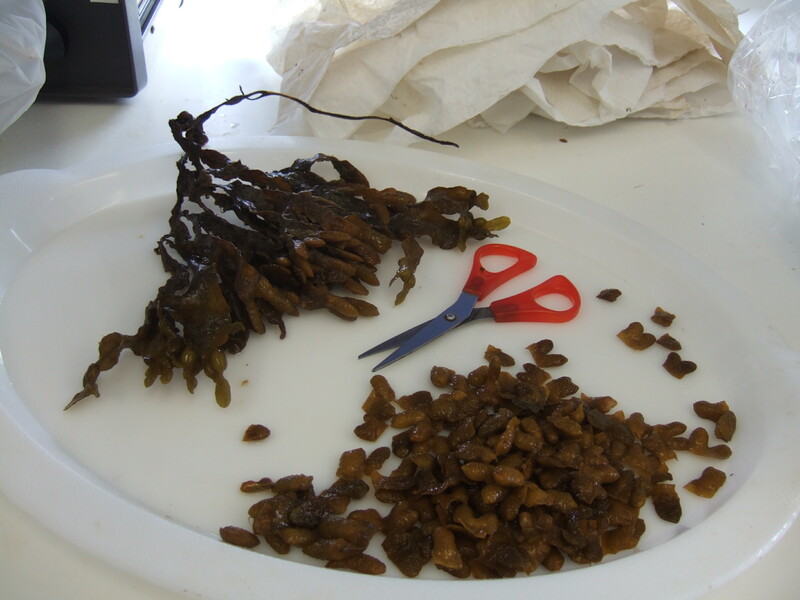 So, during the first days of June, we collected fertile tips of bladderwrack. These were sexed (we cut the receptacles and see if they are male or female), so that we would get an appropriate ratio of males and females at each site. 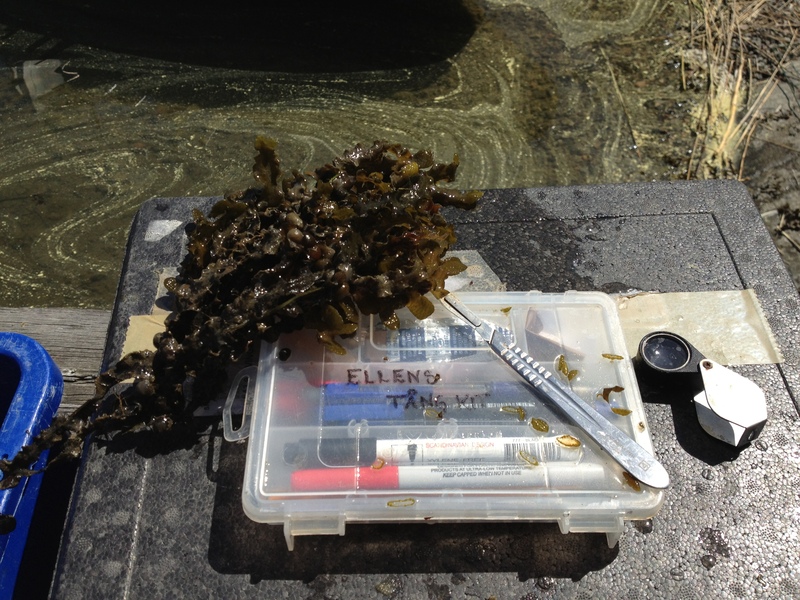 Sexing seaweed is best done with a scalpell and a magnifying glass. The bladderwrack were made into small beautiful fertile bouquets which were then attached to a grid. 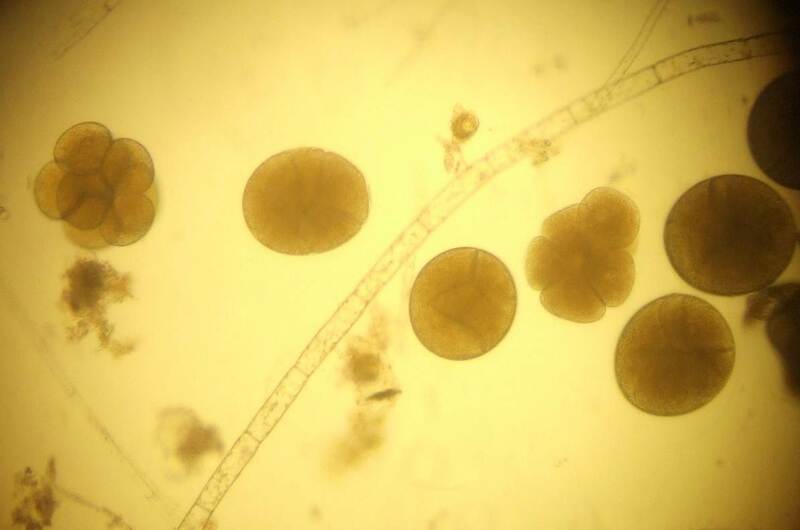 These will be placed in the water, floating over a number of concrete plates, and hopefully make new small seaweed babies that can attach itself to the plates. All is ready for a baby boom! 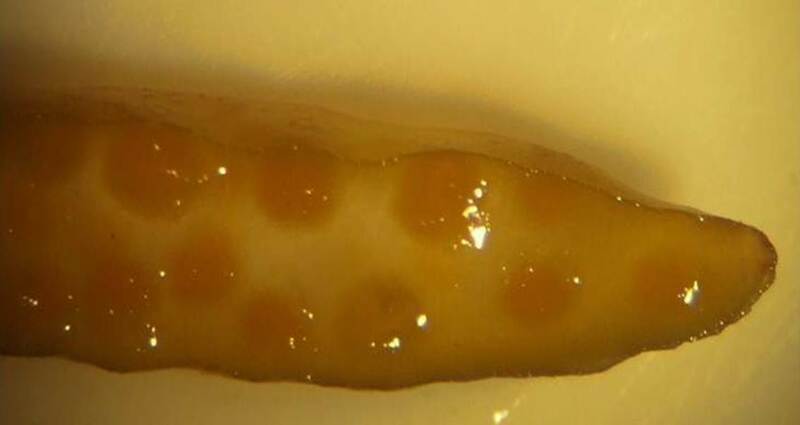 So, now we have placed three grids in Björnöfjärden and three in nearby Fjällsviks Bay, to see if any of the other actions carried out in Björnöfjärden will affect the seaweeds ability to reproduce. So, keep your fingers crossed that no one gets caught with their anchor or fish tackle in our beautiful grids, and hope for calm weather at Midsummer full moon so that there will be many wee ones. 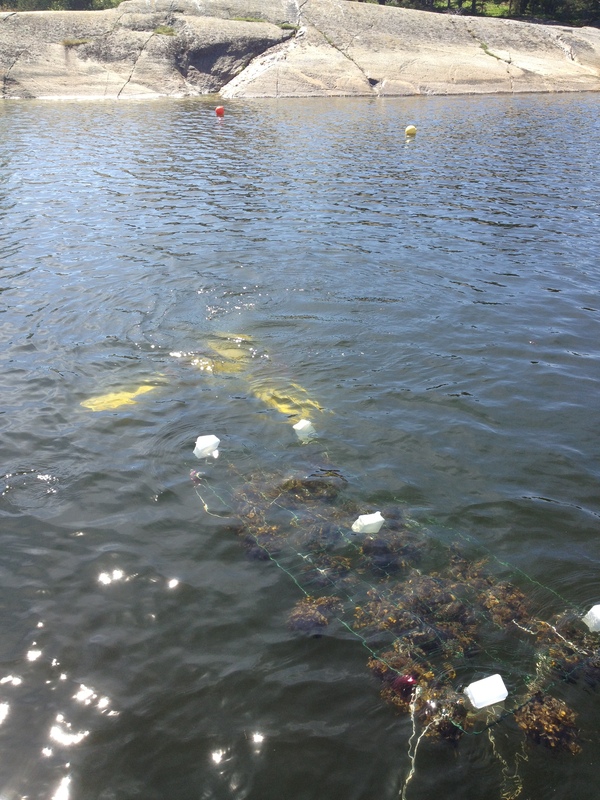 Placing a seaweed grid with buoys.